This morning I got out the rivet gun, bucking bar and drove some rivets. It's been a while but it all came back to me - like riding a bicycle at this point in the project. This afternoon I started work on the aileron linkage. Here I've installed the aileron bellcrank. The first time I started tightening the end nut the bell crank got tight, so I removed it and lightly sanded the inside of the pivot tube. It now moves freely without any slop. I had previously started the fabrication of pushrods. 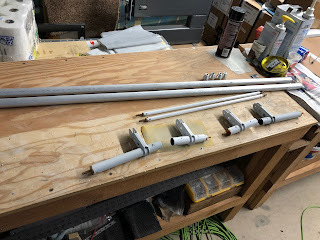 Today I cleaned out the inside of the tubes with sandpaper wrapped around a broom stick and then taped off the ends and poured epoxy primer into the tubes. Tomorrow I'll prime the outsides. 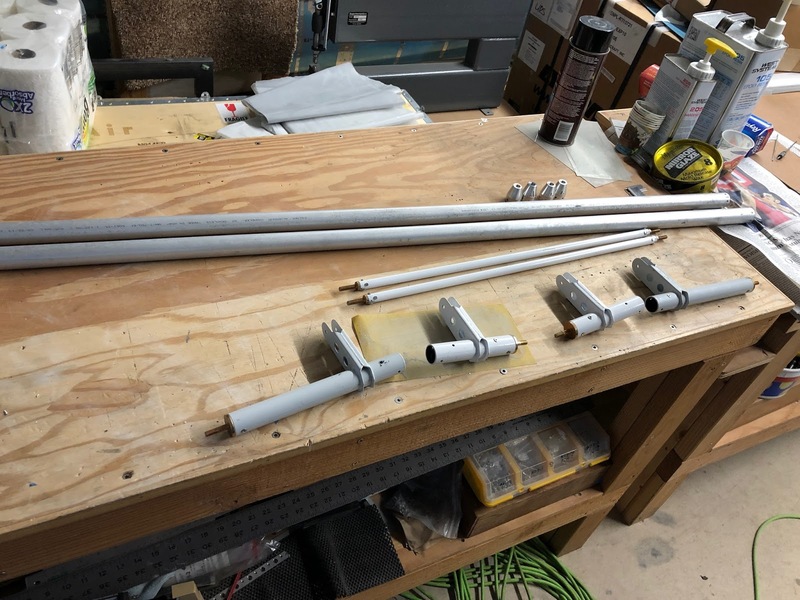 Next I fabricated the push rods. I had previously primed the inside of the tubes. The threaded ends are held in with (long) AN470AD4-11 rivets. The manual advises using a hand squeezer on these because it is easy to lean them over. I don't have a hand squeezer so I decided to back rivet them, which worked really well. I placed the back rivet plate on the table, inserted the rivet and then held the rod in one hand so the rivet was vertical to the rivet plate and the rod was parallel to the plate. 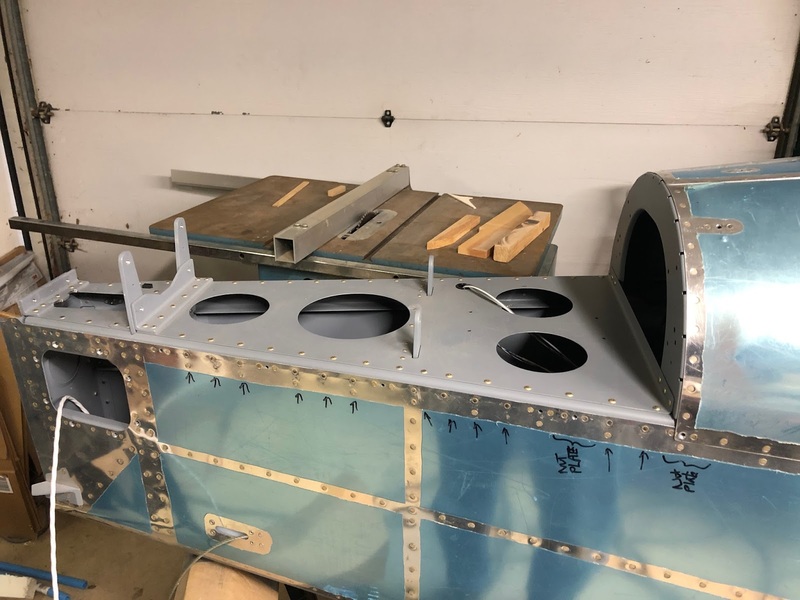 Then I aligned the rivet gun vertically on the end of the rivet and gently tapped the rivet into the back plate to get the initial set. It was easy to control the rivet using this setup. 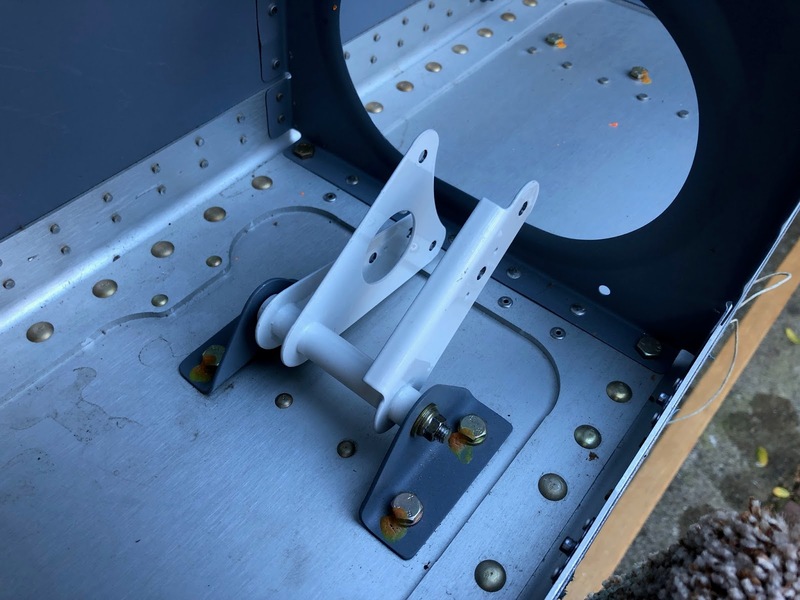 I finished up this afternoon by inserting threaded rod ends into the torque tube sub assemblies with pull rivets.